Why Choose Our Architectural Products | Laminators Inc. Unique in the industry, Laminators Inc. is a full-service manufacturing company offering complete, innovative, turnkey solutions for your architectural cladding needs. We are committed to providing value through high-quality products, innovative application solutions and superior customer service. Our forward-thinking processes and forward-looking products make us a leader in the industry. You can count on us to make things easier! At the core of our architectural business is our team of dedicated, accredited professionals--experts with proven industry success. For every service and product we offer, we have a team with the necessary experience to ensure the best result. Because of our revolutionary manufacturing process, we can ship our standard Architectural Products in 3-4 weeks (some restrictions may apply)… quicker than any of our competitors! While our products and services are extremely important to us, we focus even more on our customers. 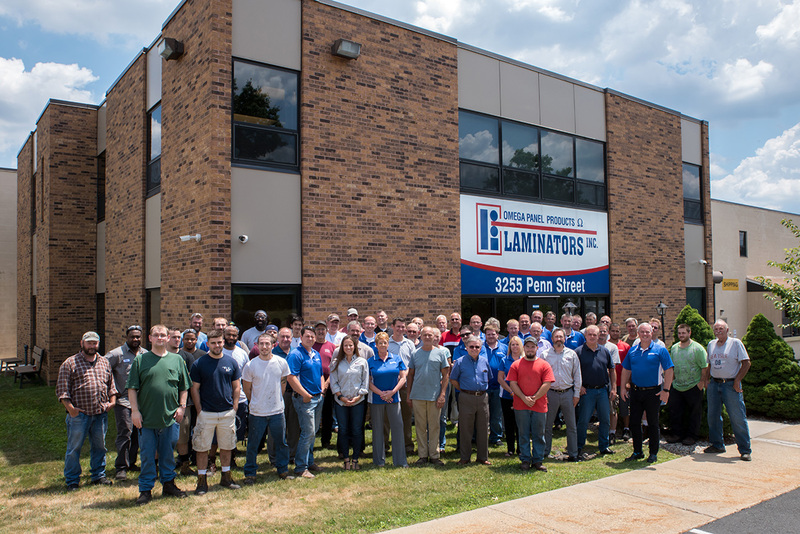 Every product and service at Laminators Inc. is designed with you in mind and is tailored to your specifications. We remain strong in the industry because we are customer-oriented and get back to you quickly. We really listen to what you have to say. Our technical support team is there for you every step of the way – from sales to engineering to installation – we have a group of experts to guide you along the way. Whether you have questions about design, building codes, or installation, expertise is readily available… when you need it, where you need it. For over 50 years, Laminators Inc. has manufactured a complete line of aluminum composite panels for the commercial construction industry. Our panels are strong, quick to fabricate and install, easy to maintain, and made to last. One of the things we do best (besides manufacturing, of course) is save you money! Our reasonably priced systems will meet your budget demands all while exceeding your project expectations. All of our products and installation systems can be customized to fit your specific needs. Laminators can match custom colors to your specifications, making it easy to maintain consistency with corporate identity projects. Wherever you are, we have a representative nearby to assist you with your next project. We are committed to manufacturing and providing environmentally friendly and sustainable products to our customers. All of our wall panel products contain recycled content, with some having as much as 70% total recycled content. 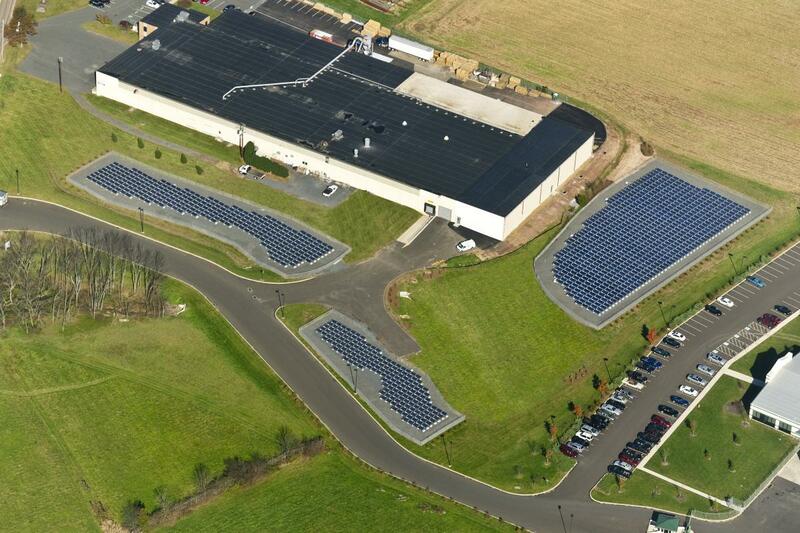 In 2012, the company installed 1150 solar panels in 3 different solar fields which were designed to cover 95% of the company’s electrical usage. In addition, Laminators installed a geothermal heating and cooling system which uses the natural heat energy derived from the earth to heat and cool the building, upgraded to energy efficient windows and installed Thermolite, the company’s own insulated metal wall panels, on portions of the building. 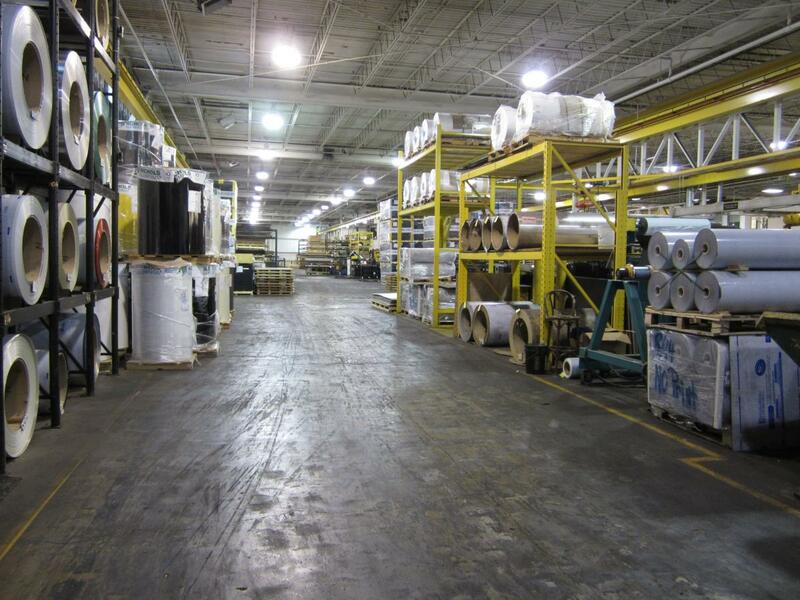 Laminators’ primary goal was to become a more energy efficient manufacturing company. We offer various panel installation systems to give you the look you need at the budgeted cost you require. A selection of our installation systems meet NFPA 285, Miami-Dade County Product Control, and Florida Product Approval requirements when used with our Omega-Lite® ACM panel systems. We can even customize the installation system to fit your project needs. 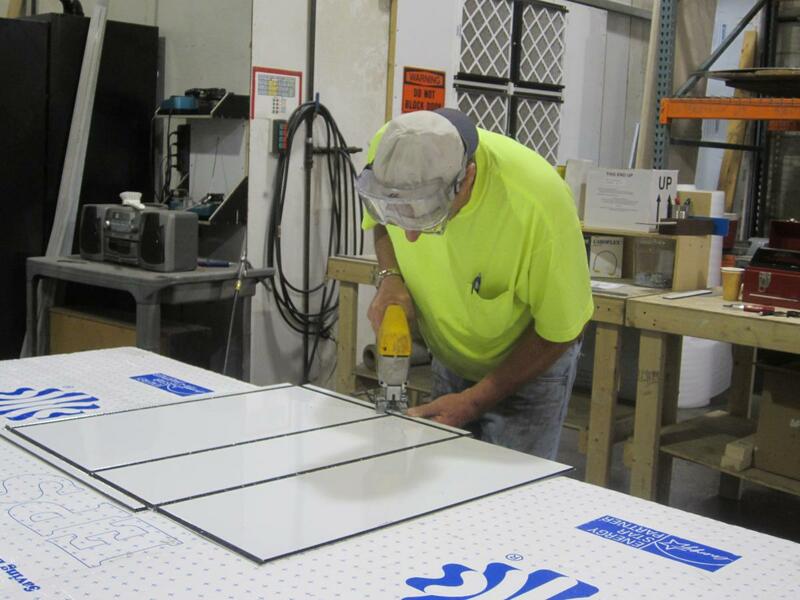 Panels can be measured and cut at the job site… no prefabrication or comprehensive shop drawings are necessary. Special panel lengths and widths can be ordered to minimize waste and reduce labor and materials expenses. As manufacturers, fabricators, and installers of architectural panels, we understand all the nuances of performing take-offs, fabricating for time- and cost-efficiency, and more. We offer top-notch field training, for you and your crew, of our products and installation systems to ensure your project is a success. Unlike our competitors, we have NO minimum orders for our standard OR custom products! If you want 1 panel or 10,000 panels we’ll get the job done. Although the project may be over, our support doesn’t end. We can provide job specific warranties, maintenance guidance on our systems and finishes, as well as assist with any other needs or questions you may have. Our Omega-Lite panels installed with our 1-Piece, Tight-Fit, Clip & Caulk, Dry Seal and Rout & Return installations over gypsum sheathing and steel construction pass all requirements of the NFPA 285 Standard test, making them ideal for projects where the prevention of fire spreading between floors is imperative. Unlike similar products in the industry that are more costly, Laminators did not have to alter our standard Omega-Lite ACM panel in order to pass the test.